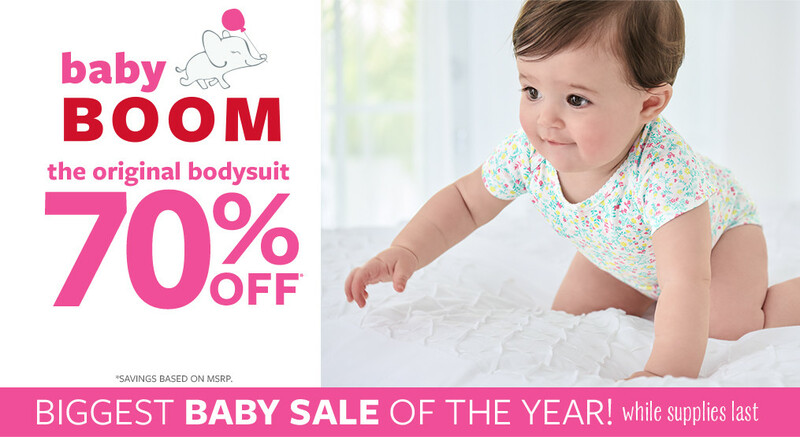 Sister brand of OshKosh B’gosh – Carter’s is back with another massive SALE! They are running their Biggest Baby Sale of the Year on Carters.com now, discount is up to whopping 70% off! For instance, this 5-Pack Flutter-Sleeve Original Bodysuits is now only USD $7.80 (usual price: USD $26), that’s what I call a steal! That’s not all, you can also earn USD $10 rebate for next purchase for every USD $25 spent. All local orders above USD $50 within US are FREE. Just top up RM10/lb, and you can receive these discounted items at your door via BuyandShip. What are you waiting for? Sign up now!